An aviation accident investigator may also be called an air safety investigator. They investigate, study and report on airplane crashes to figure out how and why they happened. Aviation accident investigators cover a myriad of areas and try to discover the cause of accidents. This is done through various means including interviewing survivors, reviewing and analyzing flight and maintenance records, studying human performance issues and operations, examining engines, systems, instruments and other airplane parts, Including operations, flight recorders, structures, cabin safety, aircraft performance (engineering), airports, air traffic services, and power plant (engines). to try and figure out what caused an accident. The NTSB defines an accident as an "occurrence" which is associated with operating an aircraft between the time people board an aircraft with the intention of flying and when people get off. This also applies when a person is killed or is seriously injured and there is substantial damage to the aircraft. A major portion of the work an accident investigator does will be at the accident scene. The average working day is eight hours, but during an accident investigation, hours may stretch up to 15 hours. Typically, NTSB accident investigators are "on call" 24 hours a day, 365 days a year and travel to all corners of the world to investigate significant accidents. Because of the nature of accidents, assignments are given on short notice and may involve working unusual hours for long periods of time. Accident sites can be set in remote areas with rugged terrain, and can be in a variety of physically challenging conditions including swamps, deserts, or mountains. Travel to the accident site may require strenuous walking, hiking and climbing in adverse topographic, weather, and atmospheric conditions. Once at the accident scene, you must be able to physically maneuver around the accident site, which may include climbing in and out of various parts of the wreckage. Since assignments can pose hazards to your health, you may be required to wear and operate appropriate personal protective equipment. You are required to carry all necessary equipment, tools and instruments to document all findings as you may photograph, video tape, make measurements and take notes while at the accident scene. NTSB accident investigators interview survivors and witnesses and examine aircraft parts, instruments, and engines. They also review maintenance and flight records to determine the probable cause of airplane accidents. Travel and field work typify the investigator's position. Senior level responsibilities might include managing all phases of airline accident investigations and supervising and controlling the investigative team, representatives of the FAA, the airframe and engine manufacturer, pilot and flight attendant unions, etc. Comprehensive reports will be prepared and presented, often in front of public officials. Accident investigators working for the FAA identity safety deficiencies and unsafe conditions They analyze accident data and other safety data to identify safety issues and trends. The NTSB is responsible for investigating aviation accidents in the United States and its territories. By law, the NTSB determines the accident’s “probable cause” and makes recommendations to prevent similar accidents in the future. At the beginning of an investigation, the Safety Board invites certain organizations that can contribute technical support – such as the aircraft operator and manufacturer and affiliate unions – to participate as “parties” to the investigation. Because major accidents are rare, there is often little continuity among the individuals sent by organizations to be party representatives. This often results in confusion during an already stressful time. Entry level accident investigator positions are difficult to get into. Investigative experience as an insurance adjuster or piloting a plane in law enforcement is helpful. Entry Level or trainees typically must have one year of specialized experience demonstrating knowledge of civilian aircraft design, manufacture and maintenance operations or civilian aircraft operational requirements, practices and procedures. This experience may include work as a pilot for scheduled air carrier, A&P Mechanic or certified flight instructor. Possession of a valid commercial pilot certificate with instrument rating. Possession of a current first or second class Airman's Medical Certificate. Requirements of higher level positions may include experience as an entry level or broad knowledge of aviation accident investigations, practices, procedures, and techniques. Specialized experience may also include that of a flight safety officer, flight operations supervisor, aircraft maintenance supervisor, designated pilot examiner, flight instruction supervisor, or flight test pilot. Typically accident investigators must have a high school diploma as well as specialized training in their area of transportation. A college degree is not always required however, most accident investigators possess a vocational or community college diploma. Military experience, degrees in engineering, and law, and military accident investigation schools are helpful. Your skill-set should include strong written and communication skills, inquisitive, ability to empathize and know your audience, analyze and write because you have to get it all down on paper. factual data collection, and public speaking is a plus. Qualification requirements at the NTSB include: Accident investigators need to be in good physical shape to meet the requirements of the job. Must have excellent organizational and technical writing skills, and ability to effectively speak and write English. The information taken from the accident scene must be assembled and or organized into logical factual and analytical reports. You must also be able to make effective oral presentations about your findings upon request. A valid state driver's license and have the ability to qualify for a US Government issued travel charge card. Aviation related engineering, medical and/or operational experience is required for a variety of professional positions with this safety related organization. Typically accident investigators must have a high school diploma as well as specialized training in their area of transportation. A college degree is not always required however, most accident investigators possess a vocational or community college diploma. Most Federal Civil Service employees in the aviation field are covered by the General Schedule and their salaries vary according to their grade level (GS-1 through GS-18). Within each of the grades provided in the General Schedule, provision is made for periodic pay increases based on an acceptable level of performance. With an acceptable level of competence, the waiting period of advancement to steps two, three and four is one year, steps five, six and seven is two years, steps eight, nine and ten is three years. Trainees are paid while learning their jobs.Salary and experience rankings resemble those of the Department of Transportation. Salaries generally start out around $21,000-$29,600 per year. According to the NTSB, salaries top out at approximately 102,000. If you're considering work as an accident investigator, you will be employed by a Federal agency such as the National Transportation Safety Board (NTSB) or the Federal Aviation Administration (FAA), or by insurance companies. Within the FAA, the Office of Accident Investigation (AAI) is the principal organization which investigates aviation accidents. There are many job opportunities within the FAA's accident investigative teams. While the NTSB has jurisdiction, the FAA participates in the NTSB's investigation to learn what prevention actions is should initiate to prevent a recurrence of similar accidents. They have a common objective of promoting safety in aviation and preventing aircraft accidents. The NTSB is mandated by Congress and investigates aviation accidents. Whether your changing jobs or changing careers, you have come to the right place. At Avjobs.com, We help People Get Jobs! Avjobs.com is the number one resource for job seekers who are looking for a career in the aviation and aerospace industry. Along with our fresh list of current industry openings, we provide the tools and resources to perform a successful job search and give you an advantage over your competition. In today's job market, that's more important than ever. Avjobs.com does the legwork for you! These tools are essential to your job search strategy. 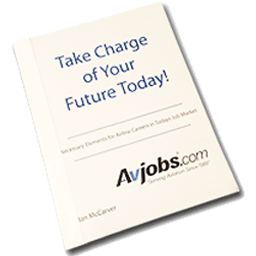 Maximize your career options and stay on top of your job search with Avjobs.com. Through 2012, the BLS expects slower than average growth in this and related fields. Some universities, such as Embry-Riddle Aeronautical University, offer co-op programs, which are a good way to get your foot in the door with the NTSB. Many other Federal agencies play important roles in aviation. The National Aeronautics and Space Administration, for example, is responsible for research into the problems of flight within and outside the Earth's atmosphere. Numerous Federal departments, bureaus, and agencies operate aircraft to carry on their work more effectively. For example, the Fish and Wildlife Service of the Department of the Interior uses airplanes to conduct wildlife censuses; the Department of Agriculture's Forest Service uses aircraft to check on aerial forest-spraying contracted to commercial operators or to oversee forest fire fighting procedures; the Immigration and Naturalization Service of the Department of Justice utilizes aircraft to detect people entering the United States illegally. Many other federal government departments, bureaus and agencies operate aircraft to carry on their work more effectively. For example, the Fish and Wildlife Service of the Department of the Interior uses airplanes to make wildlife census; the Department of Agriculture's Forest Service uses aircraft to check on aerial forest spraying contracted to commercial operators or to oversee forest fire-fighting procedures; the Immigration and Naturalization Service of the Department of Justice uses aircraft to detect people entering the U.S. illegally; and the U.S. Coast Guard operates aircraft for search and rescue purposes. Although pilot and mechanic jobs within these agencies are comparatively few in number, they are mentioned to complete the full picture of aviation career opportunities within the Federal Civil Service. Pilots for these federal government agencies fly air-craft to transport office staff members and supplies, perform aerial surveys, make wildlife census, etc. as required by their particular government office. They fly in single or multi-engine aircraft during day or night, as required, and over all kinds of terrain in all kinds of flyable weather. The jobs are based throughout the country wherever the department operations require. Pilots must have from 1,200 to 2,500 flying hours experience, including extended cross-country flights over land and/or water during which they perform their own navigating. They must be able to pass a First Class or a Second Class FAA physical examination every six or twelve months, respectively. The annual salary ranges from GS-9 to GS-12, depending upon experience and educational background.